As an avid traveller or a new explorer you have a lot of options when it comes to accommodations. For visitors to Perth, serviced apartments, hotels, bed and breakfasts, and even vacation rentals are just some of the options. Depending on the length of your stay and your personal needs will dictate the best accommodation in Perth for you. If your job is sending you to Perth, then a serviced apartment is going to be the best accommodation option for you. These serviced apartments offer rates per week or for a few months at a time. Perth serviced apartments offer a variety of choices for customers. There are different bedroom options to choose from. A serviced apartment has one, two, and three bedroom units to accommodate the needs and preference of customers. With room options like that you can bring your family or friends on your next business trips. Perth accommodations through Corporate Keys can include a short stay apartment. Our Perth serviced apartments are perfect for business travellers. There is no long-term commitment and staying in a serviced apartment give you a relaxing and familiar environment to make your trip a success. Our spacious living spaces allow you to freely move around without tripping over luggage. Just another reason to choose an executive apartment for your next business trip. Corporate Keys is the best solution for business trips and vacation travellers. We offer short and long term Perth accommodations. Corporate Keys always ensures that our guests have the best service provided to them. The Perth corporate housing and apartments offer a home away from home atmosphere. This makes it so much easier for travellers and business people, to have these accessories right at their fingertips. Our serviced apartments in Perth have been carefully centred around the area for your convenience. Perth keeps their customers' needs first by having all of the fun-filled activities and attractions close by. The Perth executive apartments have spacious living areas for plenty of room. The apartments offer space to breath in without being cramped up in a small one room area. The views can be breathtakingly beautiful and it offers a great place to relax at the end of the day. Perth is a wondrous city waiting to be explored. Spend your evening and weekends getting to know the locals and see why they love their city. Perth is certainly the place for business travellers to stay and serviced apartments have a large living space with all the comforts of home. Make great use of a variety of places to eat, conduct business meetings, and shop. In Perth there is enough entertainment and sights that a person will never be bored or run out of things to do. The beach is not far and can be a therapeutic experience for travellers. The scenery is a relish sight to take in when hanging out on the white sand or crisp water. The history the towns have to offer is an interesting exploration. The upkeep of the Perth serviced apartments is done with high-quality care. This is to ensure each guest has a happy and satisfying stay in any of the Corporate Keys locations. Let Australia achieve your business needs, traveling accommodation, and relaxation all in one stay. Our Perth Serviced Apartments will make any business traveller keep coming back for a continuous quality service. Have you considered these Perth furnished apartment buildings? 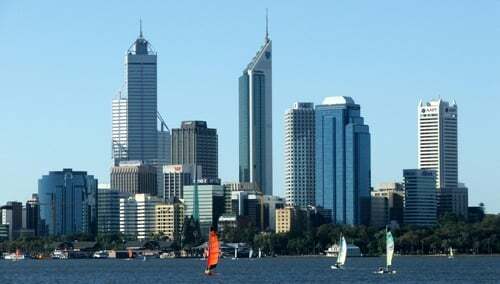 Have you considered these suburbs for Short and Long Stay Perth accommodation? Still not convinced? Click to read reviews from guests who have used our Perth accommodation solutions.